Clutter is a pernicious problem for many people. And, so is its cousin, digital clutter. Across your many desktop and mobile devices now prevalent in daily life, we house files piled high (metaphorically speaking) that as Art Gelwicks aptly notes, lives on “without a clearly defined purpose.” Clearly this is a complicated issue and the ProductivityCast team has a healthy debate about the practicality of managing our digital worlds, and what awaits us in the future for digital information management. Join us for this fascinating discussion into digital clutter and the need to do digital decluttering. This is surely a topic we’ll revisit in the future, as the more information we have about us living both locally on our systems and in the cloud grows, almost exponentially. If you’d like to discuss this episode, please click here to leave a comment down below (this jumps you to the bottom of the post). What are your thoughts on your digital information and performing any kind of digital decluttering? 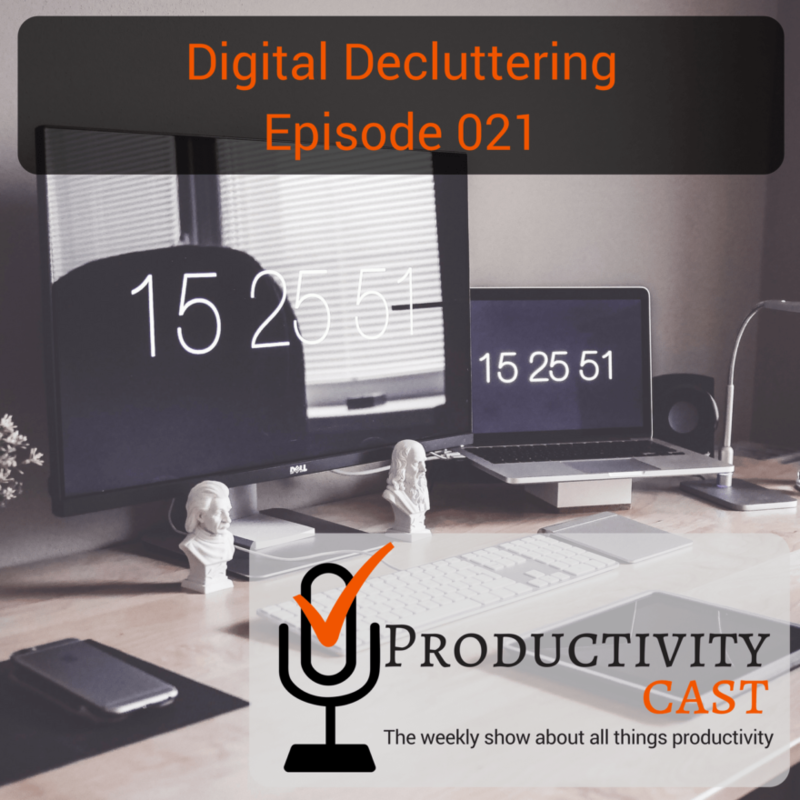 Do you suffer from digital clutter? Or, do you have a particular area where you manage your digital information well (say, at work), but very poorly elsewhere (like, home digital photo organization)? You can comment below, or let us know via our contact form (audio or text) and we’ll be glad to help as best as we can in a future episode.